The art of wearing kajal goes back a long way in Indian culture. Surma, kohl, and kajal hold a place of special importance in a woman’s beauty bag. One stroke can magically transform your look to bold and sultry, or even delicate and doe-eyed. Lining your eyes with just a little bit of kajal adds immense definition to your face and draws more attention to your beautiful features. But with everyone wearing kajal the same way, how do you stand out? Here are 4 simple and stylish ways to wear kajal which are sure to get you noticed every time. 1. Cleopatra Style: The ancient Egyptian queen was known to be one of the most fine-looking women of the world. Known for her milky skin and bedecked eyes, she was a vision of beauty. One of the most striking aspects about her look was the way she did up her eyes. Lined with kajal right from the inner corner and stretching out past the outer corner of the eyes, it was elegant and dramatic at the same time. And the look is simple enough for you to achieve. Start by drawing a stroke along your lash line and under your waterline. Then stretch it towards the inner corner and make the upper and lower lines meet in a triangular shape. Do the same on the outer corner and add a slight flick at the end. There you have your own royal look in no time. 2. Bold and black: Wedding season is upon us, and it’s time to break out the fancy clothes and makeup. But this year instead of opting for the delicate eye makeup, how about showcasing your feisty side with bold eye makeup? And all you need is one soft kajal pencil. Start by lining your lashline with kajal like you normally do. Then from the outer corner, draw an almond shaped curve that meets the earlier stroke at the inner corner of the eye covering two-thirds of the eyelid. Now using the same kajal, fill up the gap completely with color. Open up your eyes and draw a thick stroke on your waterline. Finally using a brush just blend the color in so that there are no spaces left and finish it off with jet black mascara. 3. 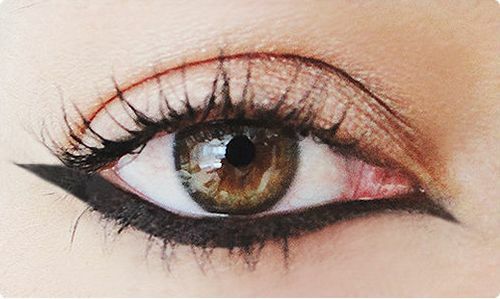 The reverse cat eye: This is quite simple and exactly like the name suggests. The classic cat eye is drawn on the eyelid along the lash line, and the reverse cat eye is drawn below the waterline. First start by tight lining your upper lash line with kajal. Tight lining involves applying the kajal in between the lashes rather than on the eyelid for a closely defined look. Then apply kajal as per usual on the waterline. With a smooth motion, make the stroke thicker and extend it on both corners. Extend it past the outer corner of the eye in a triangular shape and fill it up with color. 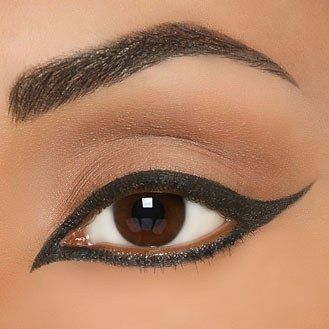 Do the same on the inner corner for the perfect reverse cat eye look. 4. 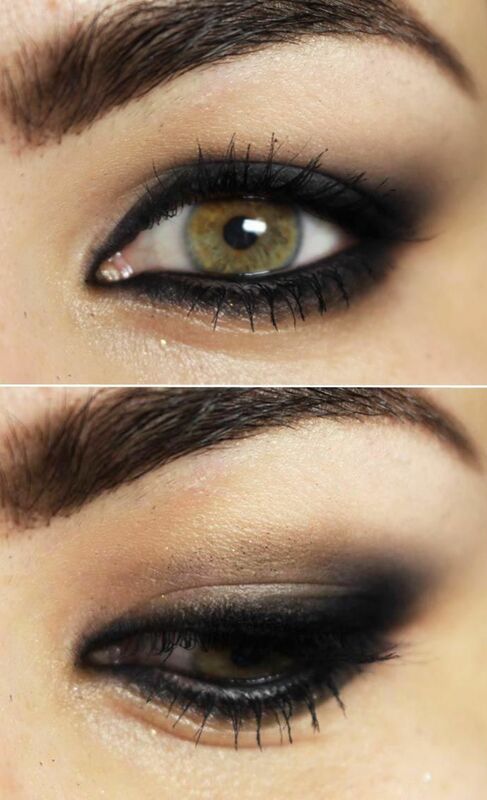 Classic twist: Eye makeup is one of the best ways to highlight your features. But on days when you just don’t have enough time to go the whole nine yards, there is a simple twist to the classic kajal look that you can do to achieve the smokey effect. Apply thick strokes of kajal on your lashline as well as your waterline. Then simply using a brush smudge the kajal in outward and upward strokes on your eyelid till it blends into a smokey look. And there you have your stunning look with just one makeup tool. Will definately try these out. Thanks fr sharing! !